Hallie turned one last week and to celebrate she came to see me this morning at my Lancashire home photography studio, for her cake smash and splash session. 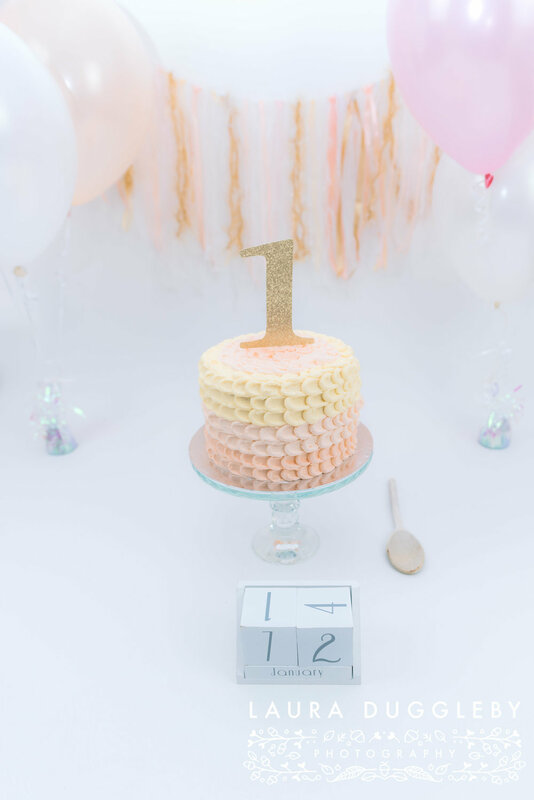 At first she was a little unsure but then she tasted the huge pastel pink and peach coloured butter creamed cake, from For The Love Of Cake and there was no stopping her, she loved the cake!! After the smash came the splash part!! I always love seeing the reactions of little ones during these sessions, they pull such funny faces and Hallie was no different!! She loved splashing around and getting everyone wet!! Enjoy this blog of this beautiful little girls cake smash and splash session. *If you would like to enquire about a cake smash and splash session please contact me here.